Žižek is a strongly left-leaning critic of societal issues, who thinks many of society’s problems stem from an era of ideology. 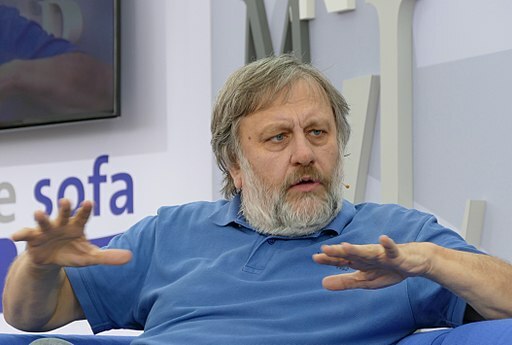 Žižek views ecology as one such ideology, believing that ecology “takes real problems and mystifies them”. He contends that ideologies provide an escape from real societal challenges and are a hindrance to true social progression. What makes him view ecology in such a light? Žižek’s view of ecology is perhaps synonymous to environmentalism, which calls for the preservation of nature. In contrast, as researchers and practitioners of ecology, we often think in terms of conservation of nature. Both views recognise the inherent value of nature, and uphold the ideology that nature is worth protecting for its own worth. The fundamental difference, however, is that ecological preservation focuses on maintaining nature at a current or past state deemed as desirable, whereas conservation focuses on protecting nature and is not necessarily intolerant to change. The catalysing environmental changes of the modern era have surpassed humankind’s collective ability to mitigate and negate their impacts on the ecosystems of all living things, humans included. Therefore, an honest priority for modern ecology is to adapt and survive as a species (perhaps through alienating ourselves from nature even more) rather than altruistically trying to save what is around us. Society’s race to temporarily mitigate small-scale environmental issues, and people’s tendency to internalise or take personal responsibility for societal environmental impacts (such as choosing reusable wares over plastic), have overshadowed the greatest constraint for meaningful environmental progress – the “capitalist socioeconomic reality”. As a society, we have failed (or subconsciously chosen not) to see that radical social change is a prerequisite for globally impactful mitigation of environmental problems. In general, the Reading Group agreed with the environmental and ecological problems Žižek identified, but we also noted how matters have changed since the time of Žižek’s commentaries. Below is a summary of our discussion. Žižek says that people “should alienate ourselves more from nature”, but at the same time should realise that “[we] are nothing but one of the living species on Earth, depending on the delicate balance of its elements”. For him, these two ideas are not conflicting. Žižek argues that humans, including their farmlands, skyscrapers, factories and rubbish dumps, are a part of a natural system too. However, human hubris means we see ourselves as separate from the rest of nature, and take on the mantle of nature’s caretaker, notwithstanding that human interventions are no match for the unpredictability and chaos of the physical world. In Žižek’s view, nature is not a benevolent “mother”, but an unfeeling and unrelenting force who still overrules us as a species. The rules of nature are apathetic towards its denizens. In Terry Pratchett’s words, a family of otters feasting upon an egg-laden salmon is “One of nature’s wonders, gentlemen: mother and children dining upon mother and children.” For Žižek, the real concern about nature is the fragility of the human species; he necessitates that people should strive for survival by further alienation from the natural world, using novel technologies and societal advancement. Many would criticise his stance as utilitarian and anthropocentric. Yet, perhaps in Žižek’s view, to feel for nature renders humankind unable to act in any meaningful way. As George Carlin profoundly yet humorously pointed out, nature has existed in a moral and emotional vacuum long before people, and it will exist in such a state long after our demise. Perhaps in Žižek’s eyes, the only natural perspective for humankind’s relationship with nature is to recognise us as just another ephemeral species “fighting hard not to die”. Is ideology the only obstacle to environmentalism in Žižek’s view? What else does society have to overcome in order to survive in these ecologically turbulent times? For Žižek, capitalism is the final beast to slay. As summarised at the beginning of this post, Žižek considers that the ultimate foe in making an ecological difference is the “capitalist socioeconomic reality”. In his view, the prerequisite for globally impactful and robust ecological action is radical social change (i.e. overthrowing the capitalist global market). This is because actions required for globally mitigating anthropogenic impacts are often at odds with the economic agendas of the capitalistic market. For example, switching to clean and renewable energy is an obvious course of action for reducing anthropogenic climate impacts, yet is strongly resisted by industries that benefit from fossil fuels. This voice of anti-environmentalism is expressed in pro-capitalism news outlets (e.g. Forbes: Climate Alarmism: Statism’s New Clothes, The U.N.’s Global Warming War On Capitalism: An Important History Lesson, To The Horror Of Global Warming Alarmists, Global Cooling Is Here). In Žižek’s eyes, society’s current environmental actions are only temporary mitigations, and do not contribute to long-lasting environmental stability. Žižek even argues that current conservation efforts may be unhelpful diversions as they allow people to pat themselves on the back and feel good about doing something, instead of rejecting capitalism as the priority. This topic was beyond our expertise as it concerns the broader concepts of social philosophy, but we refer keen readers to more of Žižek’s works. While we did not always agree with Zizek’s perspectives, his arguments provoked a lively discussion among our group. Whether you passionately agree or disagree with Zizek’s take on ecology, we realised that it is worth taking the time to question the scientific, practical as well as the philosophical justifications of one’s scientific work from time to time. This entry was posted in Reading Group, Uncategorized and tagged philosophy, reading group. Bookmark the permalink.